Delray Beach is a city in Florida I didn’t really know too much about until my dad moved here. It's a relatively small city with a small downtown area just a few blocks away from the beach. But this area is no stranger to good food and fun bars. One of those bars is actually a museum. It just so happens to be one of my personal favorite museums out there. The place is called the Silverball Museum and yes they are a pinball and old-school arcade museum. You pay a flat fee of $10 USD for an hour or $15 USD for all day. 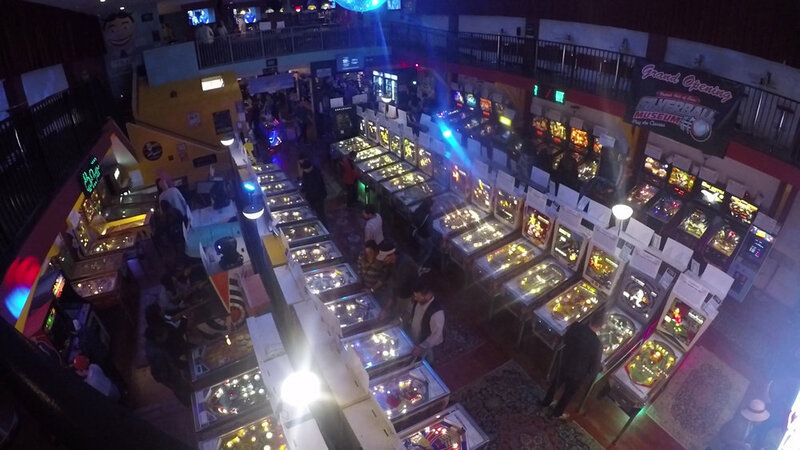 You can choose from at least 50 different pinball machines and arcade cabinets. Silverball Museum has a full-service bar that you can grab a drink from and walk around with it because the machines have built-in cup holders. My favorite part is that every machine has a posted history right on the top of it. The history will have information on exactly what company built the pinball game and what year it was released. I find it really interesting to be playing a pinball machine made by Bally with the rock band KISS licensed for the year 1979. Then to read that the Addams Family pinball machine is the highest selling pinball machine of all time (as of this writing) and that Silverball has the 3rd machine ever manufactured. It makes the gaming experience a little more special in that way. Of course, as I mentioned they have more than just pinball. They have full arcade cabinets like Space Invaders, Galaga, and Pacman. One of our favorite games they had was the Rock-Ola Shuffleboard game made in 1948 and it was not an easy game, believe me. Silverball Museum is really fun and shows off a pretty cool part of history. I am glad that I was given a chance to visit this place with my dad and girlfriend. I’ll stop by again next time I am in the Delray Beach area.